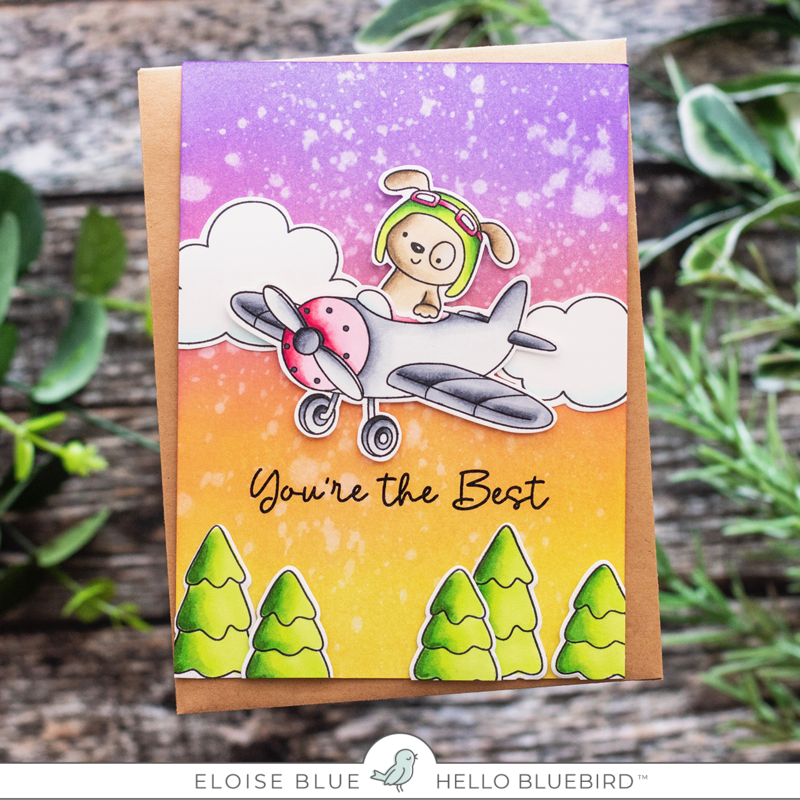 Hello friends, today is Preview Day Two for Hello Bluebird Stamps and today we are showcasing the new Maverick Stamp Set. I started off with stamping out my images from Maverick, colouring them in with Copic Markers and cut them out. I also used the Yeti or Not Stamp Set for some trees. Once they were coloured I used some Distress Oxide Inks to ink blend on a sunset background. I then flicked on some water and dried it off with a heat tool. I added adhesive to the backs of my images and adhered them down. I used a scattering of trees at the bottom and the clouds/plane at the top. I also cut off the excess from the sides. 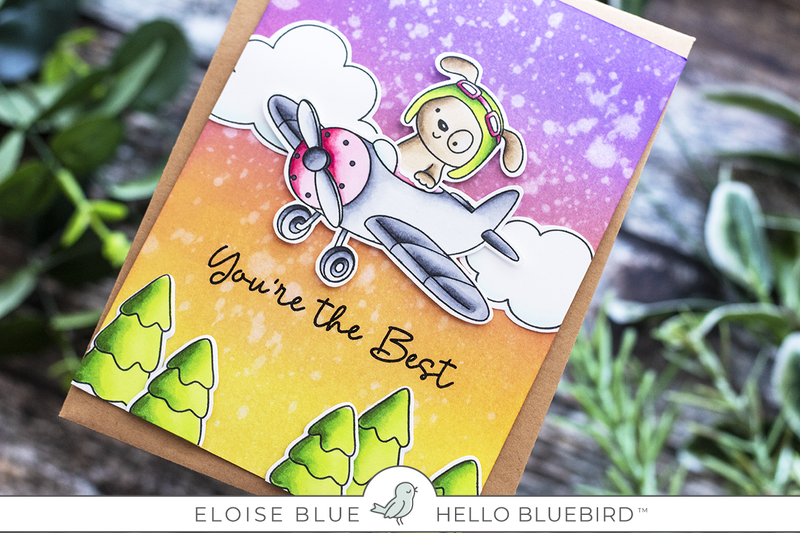 For my sentiment I used the 'You're The Best' sentiment from the same Maverick Stamp Set and stamped it in black onto my background. Thanks for stopping by today and I'll see you tomorrow for Day Three.